Maryland Attorney General will sue Trump administration over state tax-deduction cap as it attacks on "State sovereignty". VietPress USA (Feb. 3rd, 2018): President Donald Trump declared his Tax Cuts and Jobs Act that he considers as the biggest benefits to Americans and Companies. But other said that his Tax reform and Jobs Act isn't perfect. Democrats and some States told that Trump's Tax Cuts and Jobs Act is just for benefits to the wealth people, not for middle Class and low income Americans. 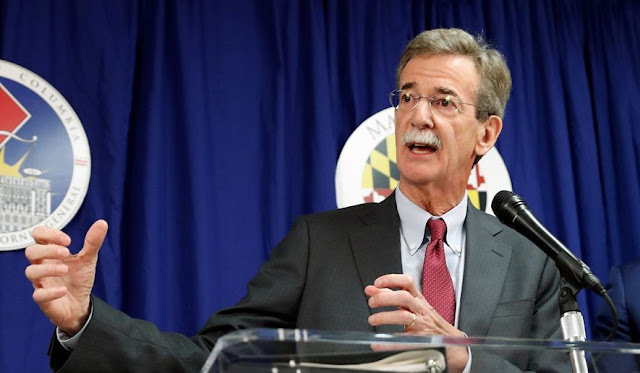 The report from the Washington Times announces that Maryland Attorney General Brian Frosh will sue Trump's Administration over State Tax-deduction cap. Maryland will sue the Trump administration for capping state and local tax (SALT) deductions in its new federal tax law, the state’s attorney general said Thursday. The Tax Cuts and Jobs Act signed by President Trump last year contains a provision capping SALT deductions at $10,000, and Maryland Attorney General Brian Frosh said residents across the heavily-taxed state stand to take a hit as a result. Without the $10,000 limit imposed by the new legislation, taxpayers could account for an unlimited amount of money already paid in state and local income and property taxes, effectively reducing their federal tax bill, if used to their advantage. Under the new federal tax law, however, upwards of 554,000 Marylanders stand to lose an average of $11,800 in deductions, according to a report commissioned by Republican Gov. Larry Hogan and released recently by the state’s Democratic Comptroller Peter Franchot. The new cap “disrupts the longstanding balance of taxing power between the states and the federal government,” Mr. Frosh said Thursday. “Essentially what they’ve done is make it harder for states to support themselves,” Mr. Frosh said, The Baltimore Sun reported. Mr. Hogan suggested he was skeptical of the attorney general successfully suing the Trump administration. Maryland likely lawsuit makes the state tat least he fourth so far to threaten legal action over the recently signed tax plan, following in the footsteps of New York, New Jersey and Connecticut last month. “We’re going to be working together to form a multi-state coalition to challenge this in court,” Democratic Gov. Andrew Cuomo of New York said previously. Mr. Frosh has sued the federal government more than 20 times since the state legislature broadened his ability to take legal action last year, The Sun reported.